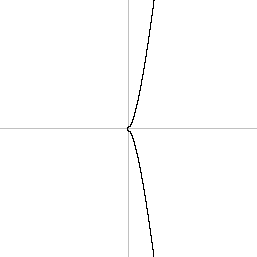 What does the comparable curve in Bitcoin look like, or are all curves generally the same? I'm afraid you won't like the answer. These curves - including the secp256k1 curve, y2 = x3 + 7` - 'look' nice when evaluated in typical number fields (integers, reals, ...), but secp256k1 is defined over the field Z2256-232-977, which means the X and Y coordinates are 256-bit integers modulo a large number. 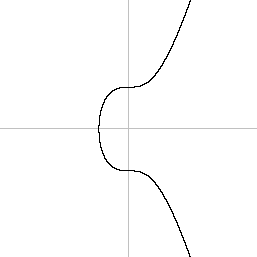 Curves using such coordinates do not have nice continuity properties. 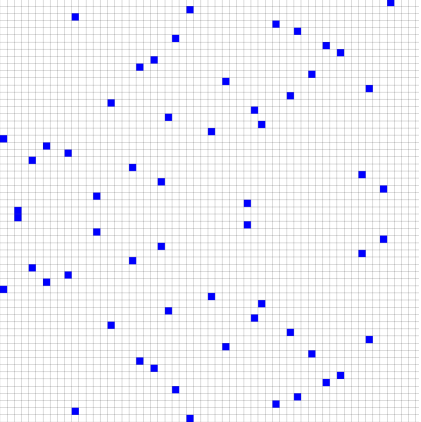 I've tried to plot this curve over a similar but much smaller field, Z28+1. 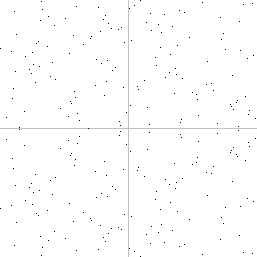 Coordinates extend from -128 to 128. Note that even though it may not make sense geometrically anymore, it still has all properties you need. A line (which means, a group of points with equation ay + bx + c = 0) that 'intersects' 2 points of the curve, will intersect a third. 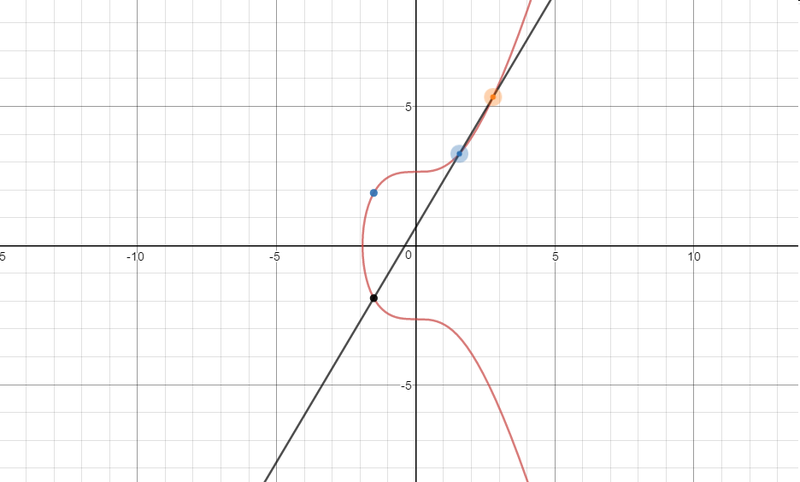 Tangent again has no geometric interpretation anymore, but you can still compute a local linear approximation for the curve equation in a given point, which will have the property of intersecting the curve in a second point. 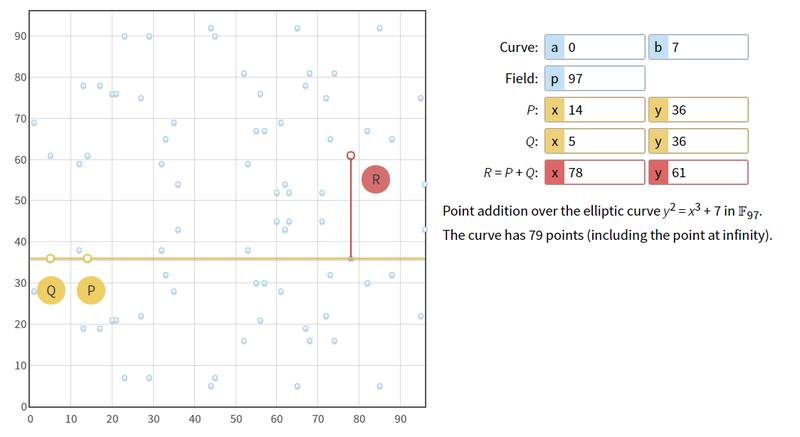 To show you what you'd get if this were over the real numbers, here is a plot of the same curve equation for that case. Once with coordinates -128 through 128, once with -8 through 8.
you can check the Bitcoin doc https://en.bitcoin.it/wiki/Secp256k1 , there you will find some technical details about the secp256k1 used in bitcoin. in the context of a finite field Zp, which greatly changes the ECC appearance but not its underlying equation or special properties. the picture below represents the same equation in a finite field F17 (the x and y values are integers between 0 and 17). 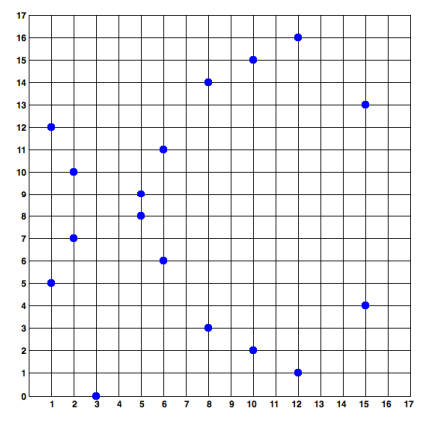 You will find an online opensource tool here https://cdn.rawgit.com/andreacorbellini/ecc/920b29a/interactive/modk-add.html which will help you to plot the graphe and to make addition or scalar multiplication on a EC. E.g plot over F97 with P+Q. Not the answer you're looking for? Browse other questions tagged cryptography secp256k1 or ask your own question. How to determine if a public key point y is negative or positive, odd or even?